You can let this rainy weather weigh down on your mood, but don’t let it weigh down on those lavish locks! 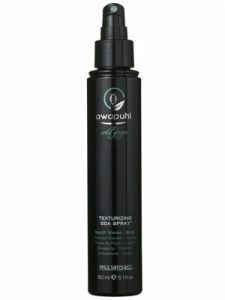 sprays leave your hair feeling sticky, this product conditions your strands with its key ingredient, Awapuhi White Ginger Extract. *Spritz product on damp hair after stepping out of the shower, or into this wet weather. *You can then either blow dry while scrunching with your hands, or let hair dry naturally. Pick your product up today, in salon only!